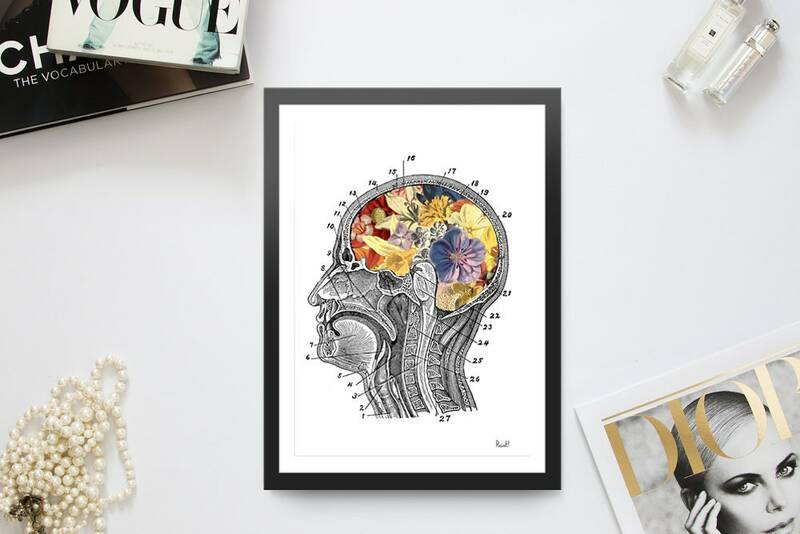 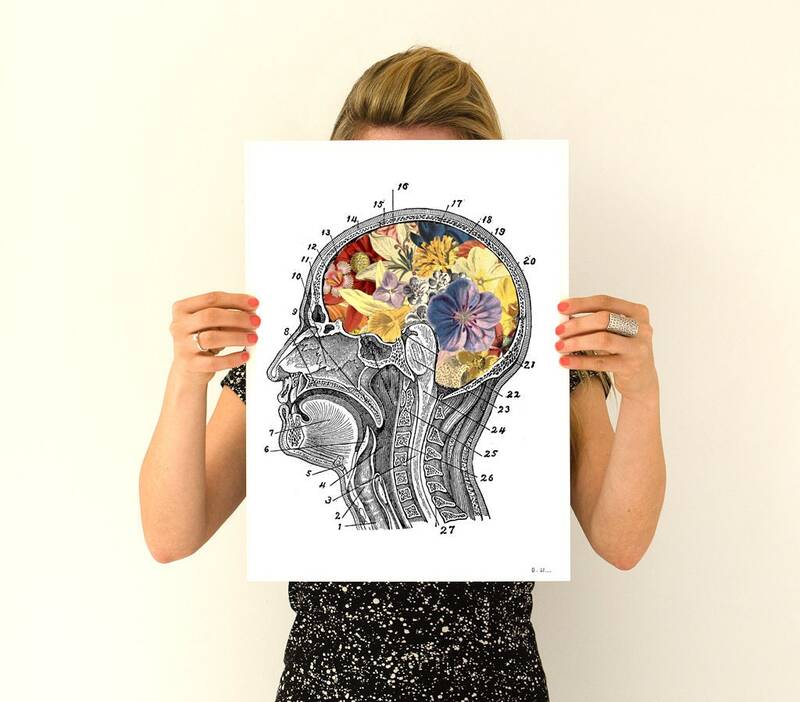 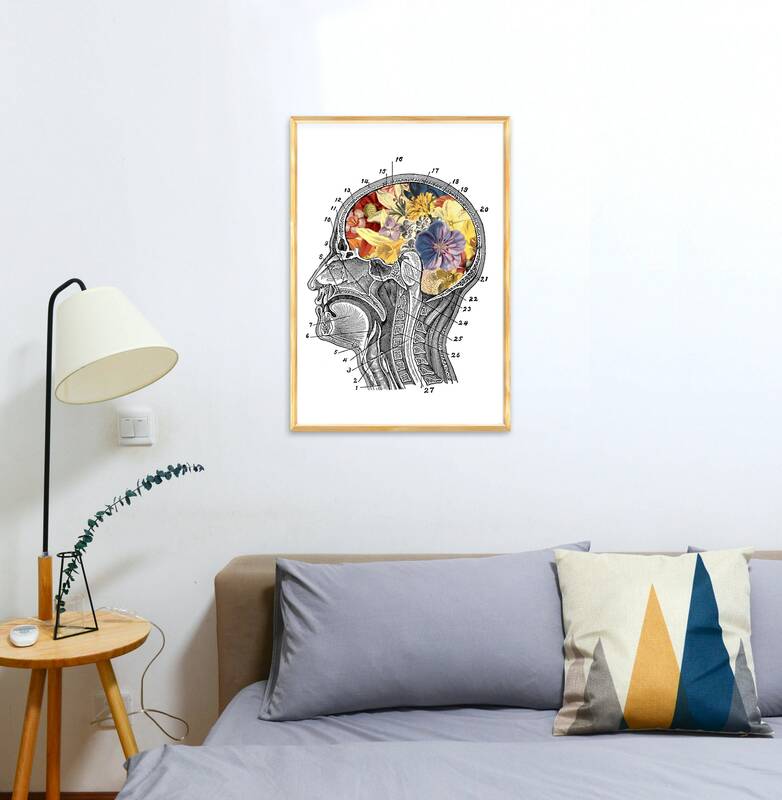 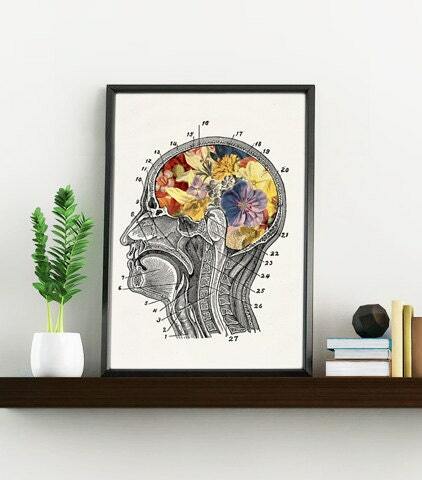 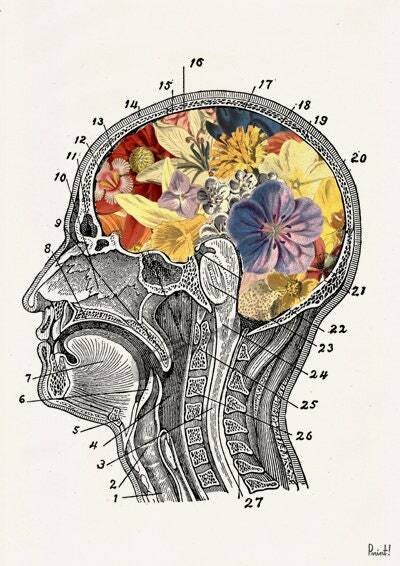 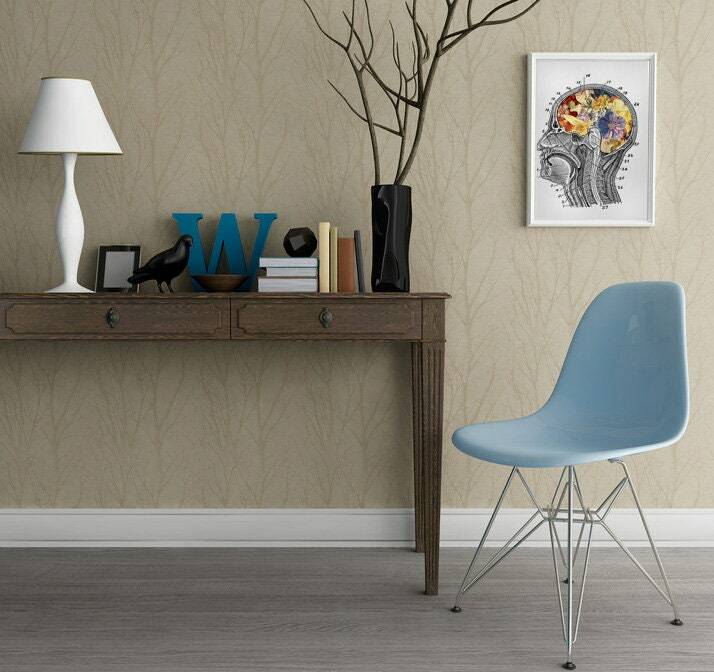 Enjoy OUR NEW Succesfull Human anatomy and flowers Series, Flowery brain Art Print Collage Human Anatomy Study Print art collage printed on off white color high quality archival matte paper. 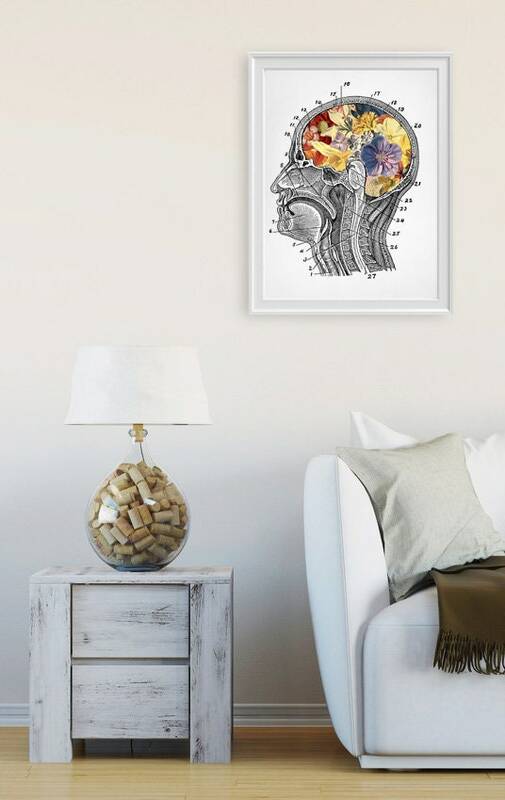 A3 POSTER WHITE BACK GROND ??? 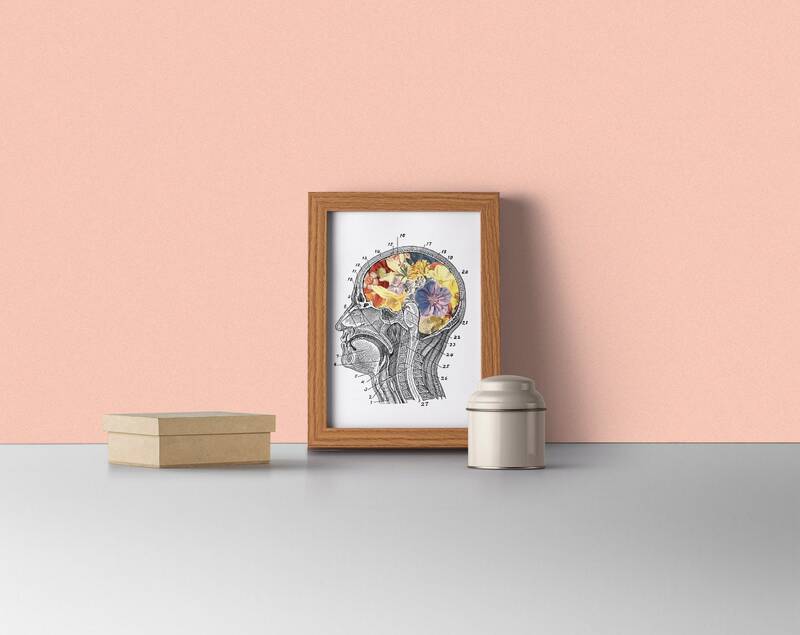 I feel like the picture was a bit too blown up for the size, my frame almost cut some of it off but I do love the picture.